Blue Square used to be a great place to place a bet for sports book and to play casino games at the same time. The company was originally established in 1999 as a sports betting site by the Rank Interactive Gaming (Alderney) Limited. The Rank Interactive Gaming, a well-known British gambling giant, also owns Grosvenor Casino. 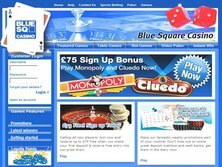 BlueSquare was expanded in August 2004 to cater casino games too. The company was licensed under the jurisdiction of Alderney. In 2013, Blue Square was bought by the Betfair for £ 5 million. The amount was noticeably low since BlueSquare was underperforming that time. The said gaming site was closed later on. The points and balances accumulated by the Blue Square players were accredited in Betfair so the previous customers of the closed gaming site can still revive their money. Blueprint Gaming, Electracade, Cryptologic (WagerLogic), Evolution Gaming, IGT (WagerWorks), Novomatic, OpenBet, Playtech, and Virtue Fusion were the software providers for BlueSquare. Thus, players could expect fairly assorted games. However, there were only around 50 games available in the site. Half of the count was for set of slots and pokers, while the other half was for set of blackjack and roulette. The popular slots from IGT such as Cleopatra II, Cluedo, and Wolf Run were featured in this site. 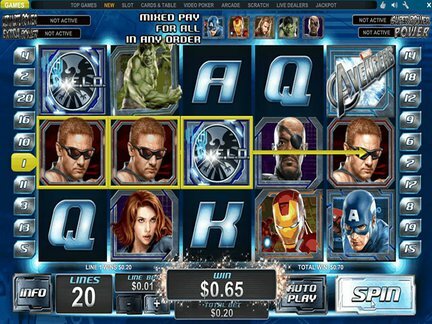 Other than the famous games, there were also slots which were unique to BlueSquare. Baccarat, three-card poker, Texas Hold 'Em, and Shootout were also must-try games within the site. Variations of video poker such as single hand, multi hand, Jacks or Better, and Ten Play Bonus were also accessible. The real gaming place was also presented in the site as they used to offer live dealers. These live actions were only available for certain games such as blackjack, baccarat, and roulette. It gave the players an experience as if they were really at a real gaming establishment. There was no downloadable software installer for the site. Players could immediately indulge in the game using the instant play in their browsers. The software behind the web browser games was the WagerWorks. Mobile version was also accessible for the players on the go. When BlueSquare was still at the business, it provided the players with bonuses such as a £ 75 welcome credit. New players could receive this Blue Square bonus upon signing up in the website. They used to have a 100% cash match bonus. In order to get this promo, a player must wager 25 times the credit amount only in Double Attack Blackjack. Once the player completed the wagering requirement, he would be eligible to get the cash match credit. Unfortunately, this promo was not including the deposits made through Moneybookers, Neteller, and Ukash. There was also a loyalty program for its patriots. Points were rewarded to the loyal players. The more games they played, the more points they earned. As mentioned above, the previously gained points of the VIP club member of this site were turned over to Betfair. Money transactions could be done through major credit and debit cards. These cards were acceptable for both withdrawal and deposit methods. It was also noticeable that the requests regarding money matter took four working days at the minimum. This time frame was obviously long compared with the money transactions of other casinos. Deposits could be processed through Laser, Maestro, MasterCard, Neteller, PaySafe Card, Skrill, Solo, Switch, Visa, Visa Delta, and Visa Debit. On the other hand, withdrawals could be made via bank wire transfer, check, Maestro, Neteller, Skrill, Solo, Visa, Visa Electron, and Visa Debit. Players could withdraw up to £ 10,000 per transaction. The currencies allowed for banking transactions were Australian dollars, Canadian dollars, Japanese yen, US dollars, Euros, Singapore dollars, and UK pounds. The only language allowed in the BlueSquare website was English. Players from United States, Hong Kong, Netherlands, and Turkey were regrettably prohibited due to certain rules and regulations. Based on the player's feedback, the customer support of this site was incompetent. However, they were reachable through email address, toll-free phone numbers, and live chat feature. Email messages could be sent to support@bluesqcasino.com. Their telephone number for United Kingdom was 0800 5870 500, while for Eire was +44 20 76886210. Other countries could call the company through +44 20 7984 4900. Phone calls outside United Kingdom were tolled. Since the representatives were inefficient, addressing a customer's issue always took a long time. There were few comments regarding this company, probably because it was already closed down. One of the comments was about the downside of the match promotion. It would be better to read first the terms and conditions before grabbing a promo. Other than that, most of the feedback is positive. Therefore, the company deserves a rating of 4 out of 5.